Back to Tokyo, back to Shibuya, back to lurking late at night and trying to get that shot. I took so many images that late night in Shibuya. 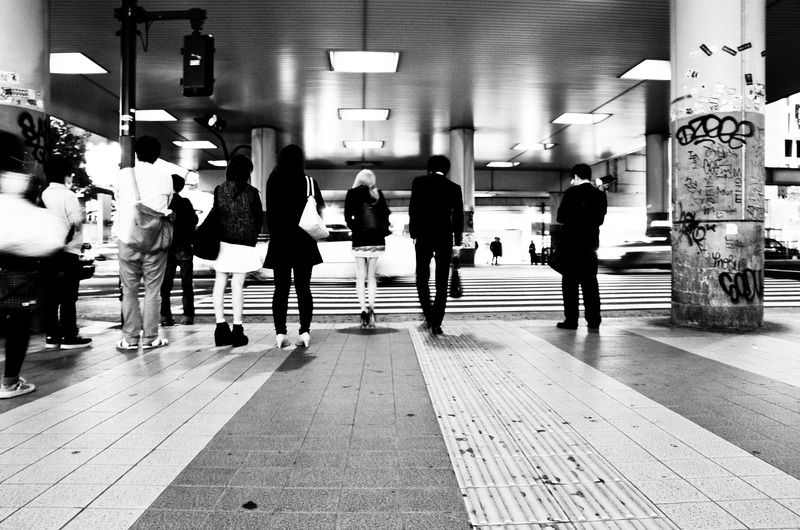 I can think of no place in the world better for street photography than Shibuya. So many people, so much activity, so many moments. So many memories. Here is the first in a short series of three of late night pedestrians. 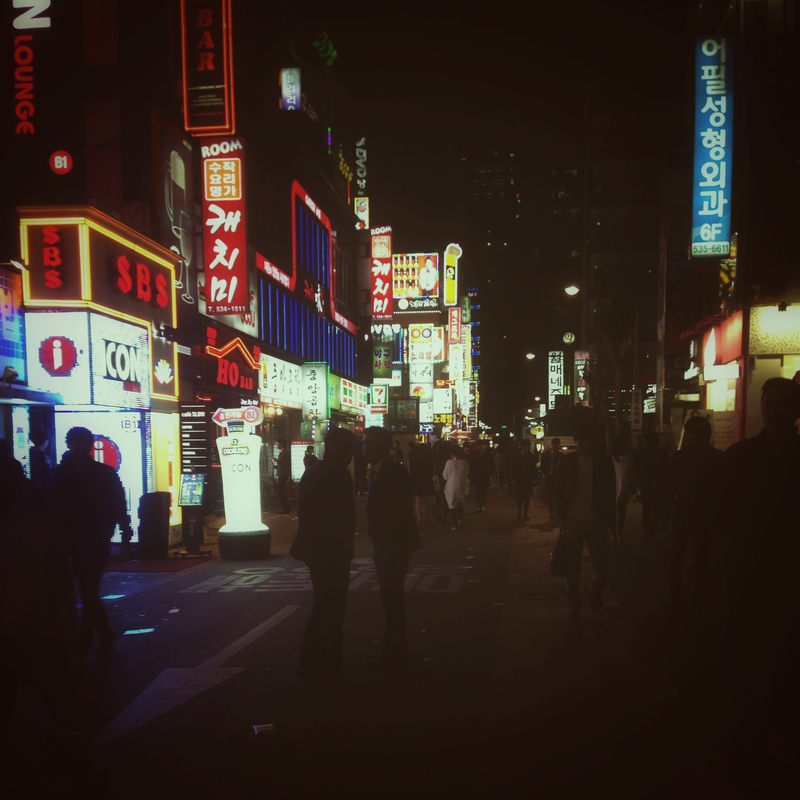 And this is a late night image from Seoul. Another which did not get my attention last year, but one I really like now. This entry was posted in Daily posts to Flickr, iPhone, Street Photography and tagged Abstract art, art, black and white photography, Brendan Ó Sé, flickr, iPhone, iphoneography, love, mobile photography, Photographic Punctuation, photographs and words, photography, street photography, Tokyo, travel.